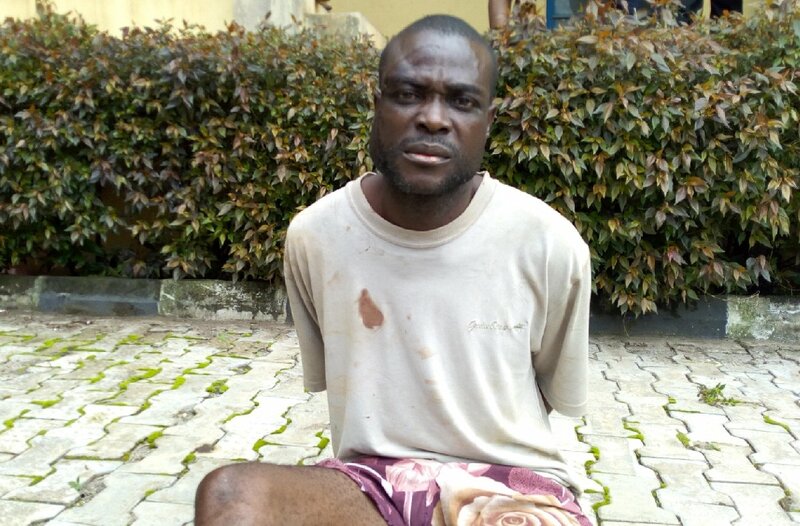 A 42-year-old assistant store keeper with the Ondo Multipurpose Cooperative Union, Ondo town, Ondo State, Adewale Adegoroye, yesterday, explained that he stabbed his boss, 60-year-old Akin Akinmulero to death over N700,000. Adewale, who was paraded by the state police command in Akure, alleged that he had not been paid salary for almost a year. The suspect told newsmen that the deceased was his benefactor, having invited him to join the company after he was jobless for years. He said the deceased and himself had worked in a cocoa company in Ondo town, which later folded up. According to Adegoroye, he had been complaining of hunger and maltreatment for a long time, but the deceased had turned deaf ears to his complaints. However, he said he decided to confront his manager on the ill-fated day, when he came with a large sum of money to the office. His words: “I confronted my boss, telling him I have not been treated well since I joined the company. I even told him that I have not eaten that day and that something should be done to my case. “He asked me to excuse him that he was busy and when I refused to leave the office, we started arguing and he slapped me in the process. “He later took a knife and we started struggling for it. I collected it from him and stabbed him. “It was not with the intention to kill him. All I wanted to do was to register my complaint, but when he brought out a knife, I wanted to collect it from him, but later stabbed him. “I was later told he had died. I am very sorry. I never wanted to kill him. It is the devil that pushed me.” The suspect confessed that he took the money which he alleged was N200,000 and fled the scene after the victim fell on the ground. Police said he will be charged to court.